Body front: die-cast aluminium, painted sanded dark grey (close to RAL 9007). Silver grey (close to RAL 9006) and white (close to RAL 9003) available on request (minimum order of 10 pieces). Other RAL colours available on request (minimum order of 50 pieces). Suitable for wall recessed mounting using recessed box. Maximum 9mm cable entry through recessed box with supplied grommet. 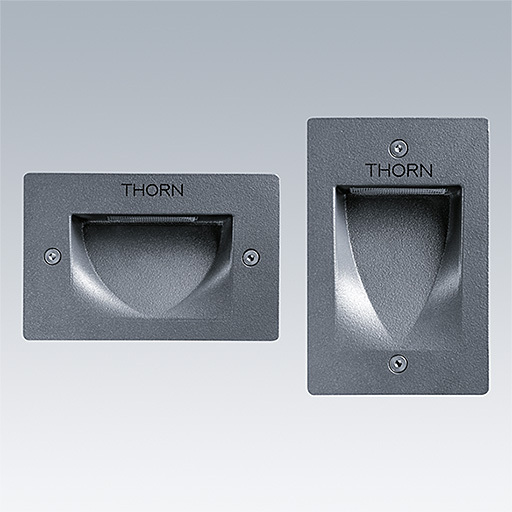 Recessed box supplied with protective insert for installation into concrete walls. Luminaire fixed with 2 Allen screws, maximum 1Nm torque. 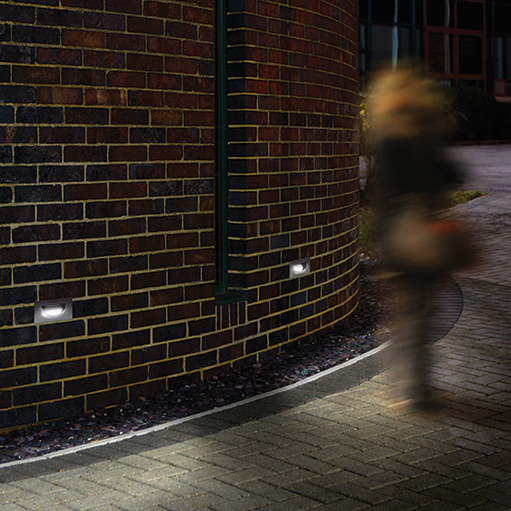 Small wall recessed range for pathway and stair lighting offering high performance. In two design models (vertical and horizontal) and two colour temperature versions (3000K/4000K).